Photographer Margaret Bourke-White was known for her incredible works. She was the first female American war photojournalist, first female photographer for Life magazine, first woman to fly on a bombing mission during the Second World War - the list goes on. 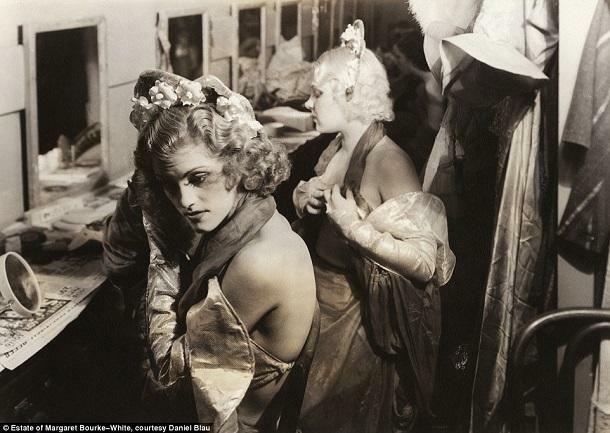 In addition to the many historic photographs she took was her incredible work with the chorus girls in 1936. 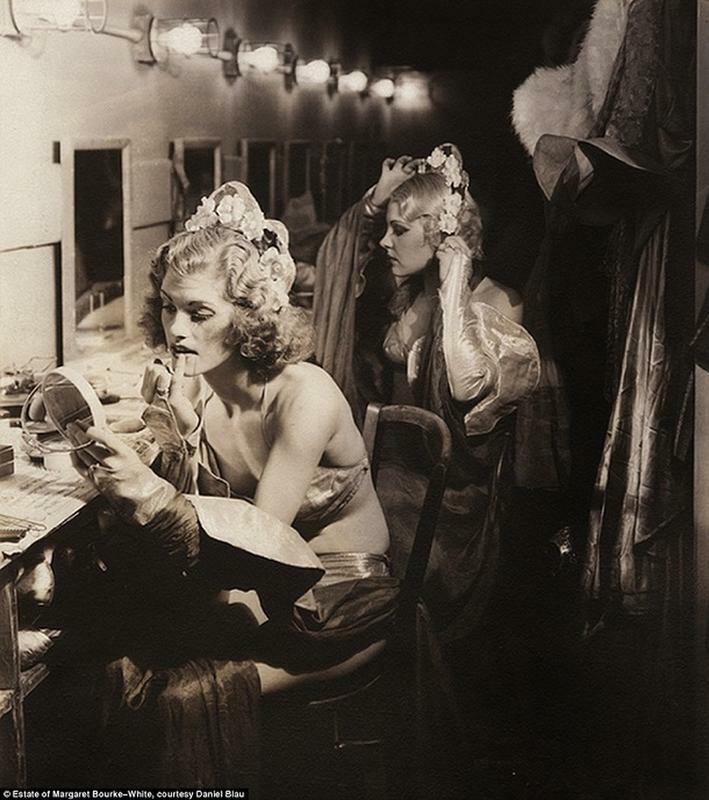 These shots, taken candidly backstage at the original burlesque shows of the 1930s, gives us a rare peek as to what happens behind the scenes before the curtains open. 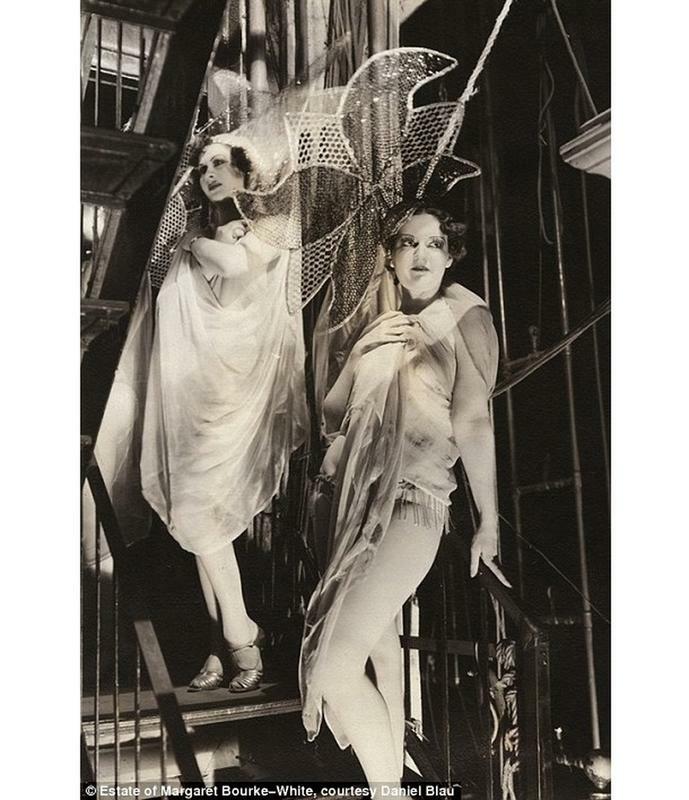 Burlesque Strip-Steppers wearing nothing but fur shawls, hats, and string knickers. The dancers in their Grecian robes. Burlesque chorus girls line up waiting for their turn to get on stage. A dancer wearing elaborate costume waits patiently for her turn. 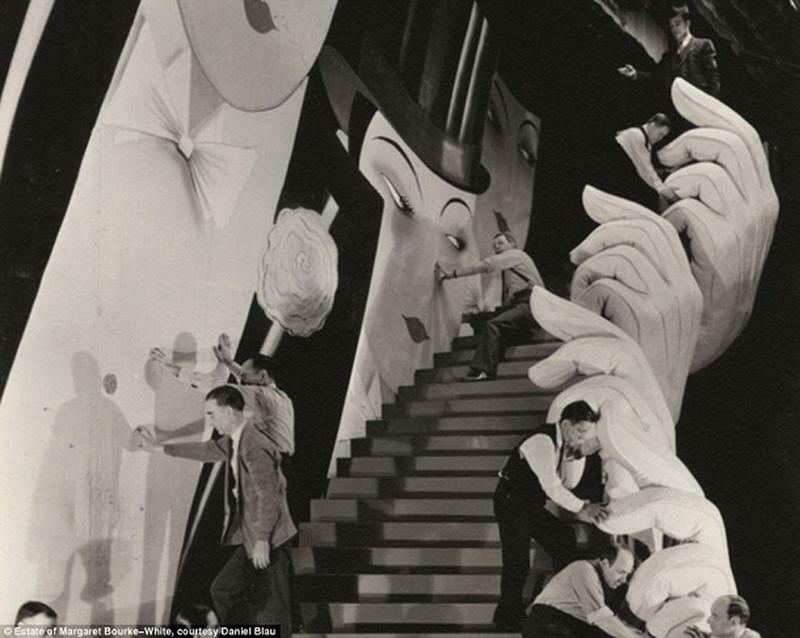 Men working on a set for French Casino set. Chorus girls set their hair in waves in front of rustic Hollywood mirrors. Final touches before the show.